This story appeared in The Merthyr Express on October 18th, 2002. 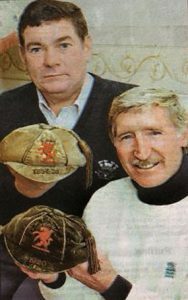 John Smith and Cliff Jones with the two caps. 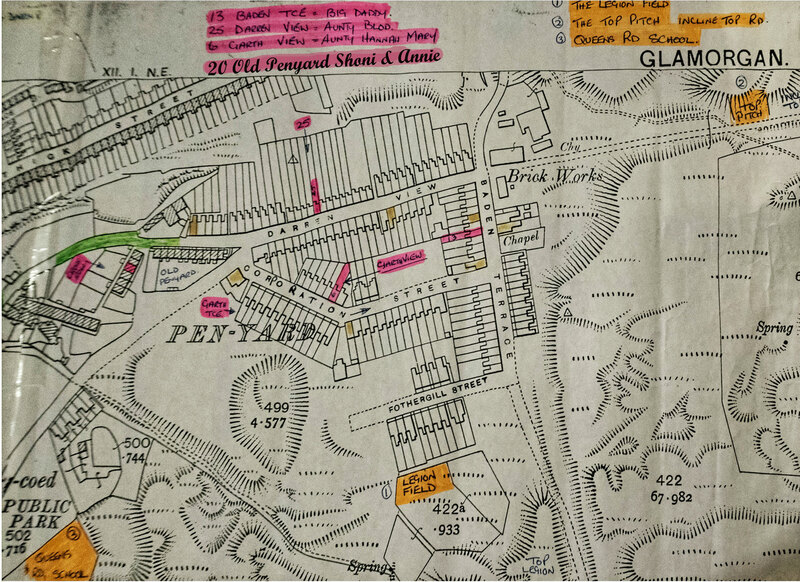 The Jones Boys footballing dynasty began at 13, Baden Terrace, Penyard at the begining of the last century, writes Suzanne Evans. Shoni, Ivor, Emlyn, Bertrand and Brynmor Jones were the five sons of William Daniel known as Big Daddy, a self educated man – and Annie Jones. They escaped a life on the coalface to play professional football, where natural ability and flair took the sons to the height of sporting greatness. When the football caps were uncovered at a house in Merthyr Tydfil, the first thought was that they were two stuffed parrots. It was only when on closer examination that the caps, then thought to be schoolboy caps, were revealed as part of the town’s sporting history. The caps belonged to Ivor & Bryn Jones, two of the five brothers who set the sporting world of football alight with their flair for the game and a natural ability prevalent in the Jones family line. Ivor’s son Cliff collected his father’s cap on a trip from his London home to Wales to watch the Wales v Italy match. He is probably one of the more famous family members and was a regular member of the Spurs first team, partnering Jimmy Greaves in the glory days of the ’60s. He was capped 58 times for Wales and was part of the double-winning team of 1961 and 1962, as well as being in the side that won the first European Cup in England. 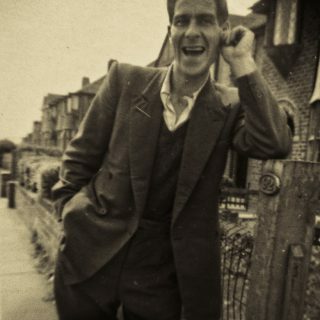 He collected three FA Cup winners’ medals and the European Cup winners medal. 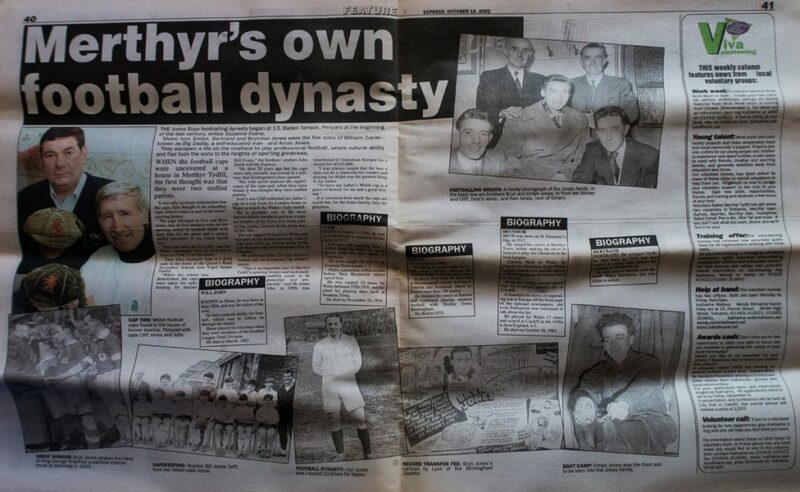 “This is an important part of Merthyr Tydfil’s sporting history and such memorabilia needs to be protected and preserved,” said Mr Jones who, in 1958, was transferred to Tottenham Hotspur for a record fee of £35,000. “I was always taught that the best a man can do is represent his country and playing for Wales was the greatest thing in my career. To have my father’s Welsh cap is a piece of history for me and a great honour.” It is uncertain how much the caps are worth but, for the Jones family, they are priceless. This was how the story appeared in The Merthyr Express.